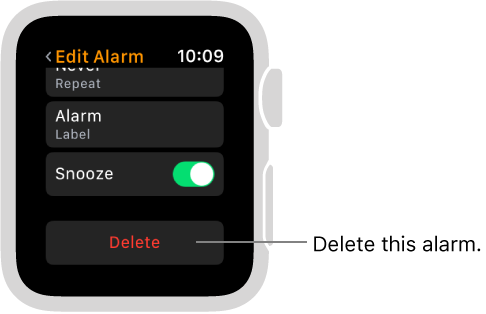 Use the Alarm Clock app Alarm icon to play a sound or vibrate Apple Watch at a set time. 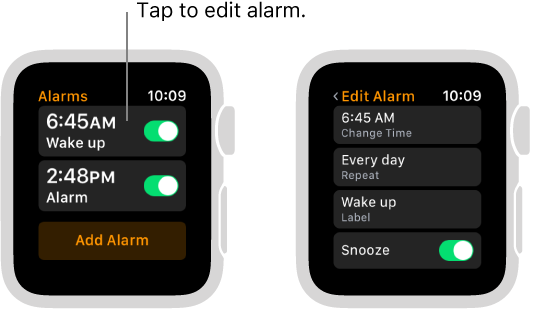 Add an alarm to your watch face so you can quickly see upcoming alarms and open the Alarm Clock app with a tap. Open Alarm Clock Alarm icon, then tap Add Alarm. Tap AM or PM, tap the hours or minutes, turn the Digital Crown to adjust, then tap Set. Select options for an alarm. Open Alarm Clock Alarm icon, then tap the alarm switch to turn it on or off, or tap the alarm time to change its settings. Set repeat, label, and snooze to suit you. 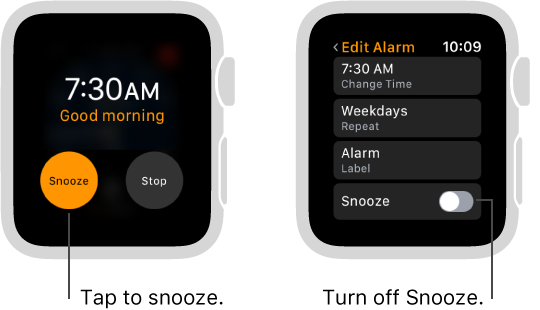 See the next alarm on your watch face. 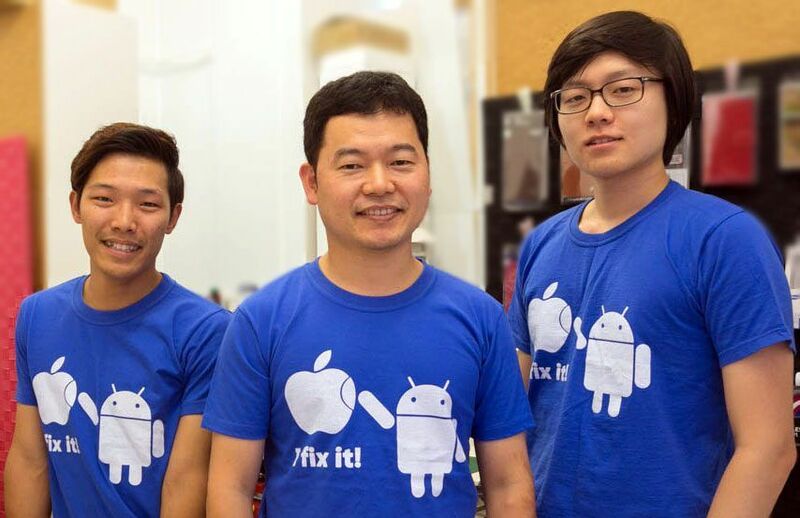 With the watch face showing, firmly press the display, then tap Customize. 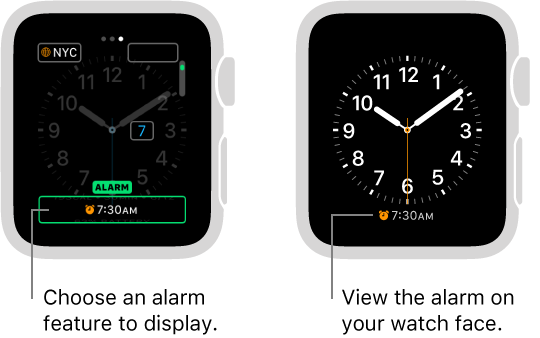 Swipe left until you can select individual complications, tap the one you’d like to use for alarms, then turn the Digital Crown to choose the alarm. When you’re finished, press the Digital Crown. When an alarm sounds, you can tap Snooze to wait several minutes before the alarm sounds again. If you don’t want to allow snooze, open Alarm Clock Alarm icon, tap the alarm in the list of alarms, then turn off Snooze. Open Alarm Clock Alarm icon, tap the alarm in the list, scroll to the bottom, then tap Delete.